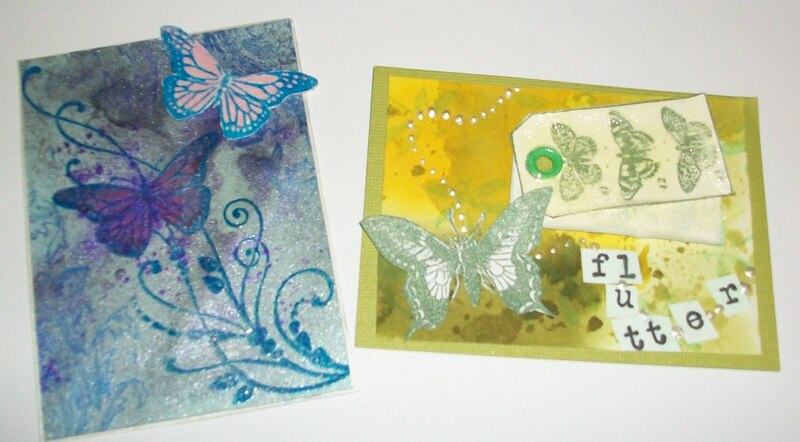 I received these 2 great atcs as part of the 'Wings and Things' atc swap that was arranged by Craft Stamper Magazine. The blue one features spring elusive images and is by Karen Cooke and Butterfly flutter has a crackle glaze on the tags and was made by Michelle Baugh - aren't they great! My Grandad will be 100 years old!